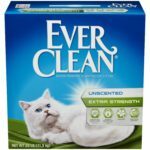 IRIS Top Entry Litter Box Review - Does It Work As Well As Other Brands? 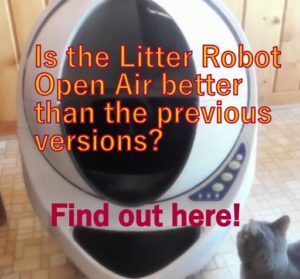 I decided to make a review of the Iris top entry litter box because it offers the same functionality of other more expensive brands, such as the Modkat litter box, so I was wondering if it worked the same. 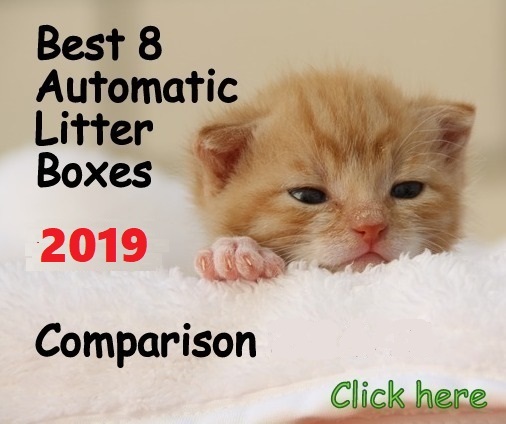 So I came to conclusions that you will appreciate if you are thinking of getting Iris top entry litter box. 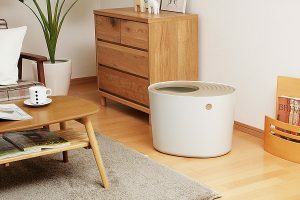 Top entry litter boxes are designed to keep the litter contained, provide cats privacy and help to reduce odors, but one of the best advantages is the design that allows people to place them in corners of any living area. An additional advantage is deter dogs from trying to access the litter box. The cat needs to jump onto the top lid and access through the lid’s opening located on the right side. Once the cat has done its business, it will jump onto the grooved lid to exit which will get its paws cleaner from the excess of litter, avoiding litter tracking from going onto the floor. To scoop, just lift the lid off and scoop like a regular litter box. ⇒Cats don’t take to top entry litter boxes right away. You need to make your cat use the litter box without the lid for at least a week before putting the lid on. Place your cat inside the litter box without the lid to make sure your feline knows its new litter box. Then, after a week put the lid on and place your cat gently inside the litter box through the opening to teach it how to get inside. 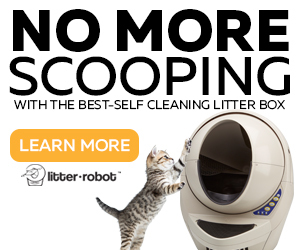 ⇒Iris top entry litter box comes with two type of lids: Filtered and Grooved. What are the differences? 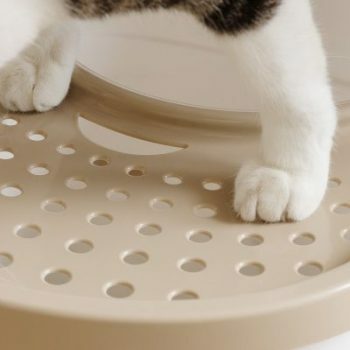 The filtered lid features small holes in it, allowing the litter fall back inside the litter box. The grooved lid has grooves all along the top and the litter just sits on the lid and you need to dump it back inside the litter box. The grooves make a better job removing the excess of litter from the cat’s paws than the filtered lid. Plus, cats whose claws are large could get them caught in one of the small holes of the lid, creating a panicking situation for the cat. 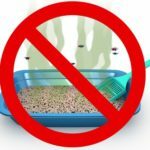 How to clean the litter box? The lid can be easily removed by pressing the two tabs on the top of the base to make the lid pop off. Dump the dirty litter and wash the plastic container with a soft detergent and hose it off or wash it in the bath tub if you live in a small apartment. It’s really simple. Modkat has a more sleek stylish design, Iris has a nice design as well, just not as elegant. The plastic quality of Iris is lower than Modkat’s. Modkat works with liners. 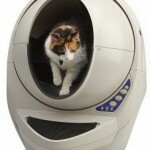 The unit comes with a durable tarp liner that gets hooked to the base of the litter box. Iris doesn’t work with liners nor comes with it. Iris lid’s grid (grooved lid) is much more effective in removing litter from the cat’s paws than Modkat lid’s grid. The price. Modkat price tag is much higher than Iris top entry litter box. 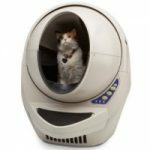 What are the pros & cons of Iris Top Entry Litter Box? 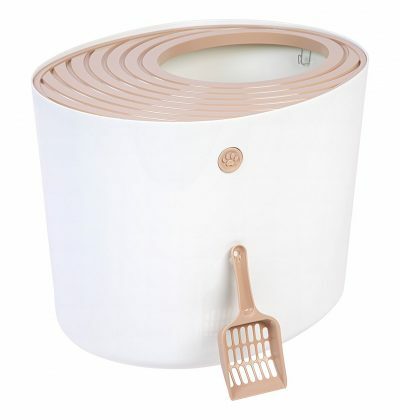 Curved shaped of the litter box makes scooping litter hard if you use a square or rectangular scoop. Some cats don’t adopt to top entry litter boxes or it takes them weeks to adjust. Larger cats can only stand up right below the opening to use the box more comfortably so they don’t have litter in front to dig, only the wall. The lid’s tabs that connect the lid to the base are not deep enough to keep the lid secure for heavy cats. Filtered lid doesn’t work as well as Grooved lid in removing litter from the cat’s paws. Pay attention to the dimensions of the large size, it’s is bigger than it looks in the pictures so it takes up a good amount of space. 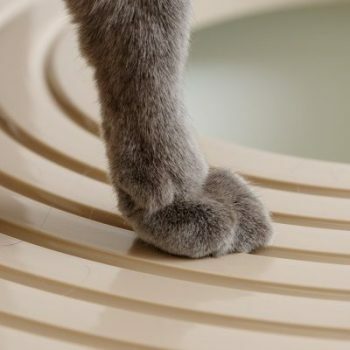 To force your cat to step on the lid and not jump right out of the box into the floor, make sure to put the box in a corner with the opening against the wall, this way the cat will be forced to step on the lid, getting its paws clean. 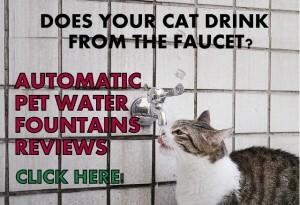 If you get the version with filtered lid make sure your cat has its claws cut. If you use a premium clumping litter, like Arm & Hammer you won’t really need liners. Don’t overfill the litter box to avoid possible plastic breakage of the bottom. Iris top entry litter box is an reasonable priced solution for your messy cat. 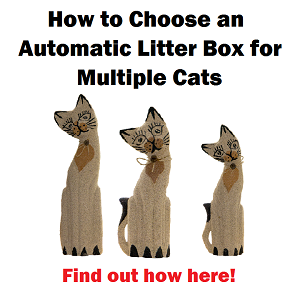 If your feline friend creates a lot of litter scattering or if you have a high spraying cat, this could be your solution. However, consider that the durability of products are related with the price tag, and Iris litter box doesn’t escape this. It’s important to mention that the Large size of this litter box uses quite a bit of room, make sure you have enough space before getting one. The good thing of the Iris top entry litter box is that you can place this unit anywhere in your house and it doesn’t look like a litter box. 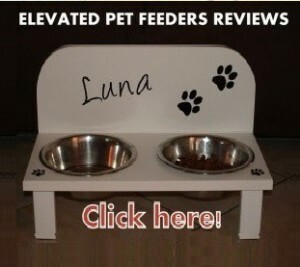 Also, you don’t have to pay an expensive price to get a nice designed top entry litter box. 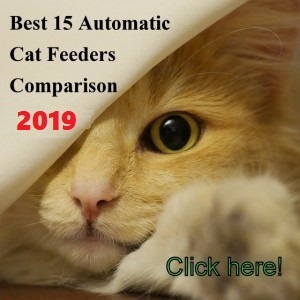 Iris cat litter box works similar to the Clevercat top entry, both brands offer the same concept, and with a more affordable price than the Modkat, but with less quality.